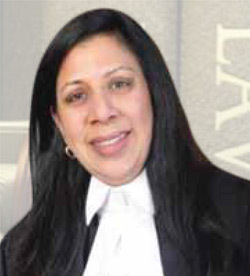 Shikha Sharda obtained her LLB from the University Of London, UK in 2004. In 2005 she obtained her LLM in European and International Commercial Law from Brunel University, London, England. Shikha completed the rigorous Bar training programme from Norhumbria University, Newcastle-Upon-Tyne, England in 2006. Shikha was called to the Middle Temple Bar in March, 2007 after which she worked for a statutory legal body within England. This area of law specialised in working with families and children who are involved in family law court cases. The closest Canadian example to this type of work would be the Ontario Office of the Children’s Lawyer. Shikha moved back to Canada in 2012 at which point she started and completed her National Accreditation and passed the Canadian Bar in June, 2014. In November, 2014 she opened this law firm and has enjoyed working for herself and representing clients both in and out of court. Shikha’s speciality is in the area of Family Law where she demonstrates great empathy and understanding of the issues her clients face. Shikha is determined to represent all her clients with vigour and in a forthright manner. Jayant Unny obtained his undergraduate degree from the University of Delhi in 1999. He completed his Masters (MSc) in Human Resources from the University of Bedfordshire in 2003. Jayant moved to Canada in 2013, enrolled in and completed his Paralegal studies and obtained his license to practice from the Ontario Law Society . Jayant joined the Law Firm of Shikha Sharda Professional Corporation in October, 2015, he is now a valued member of the team. 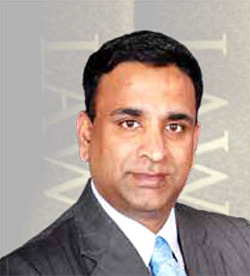 Jayant’s areas of practice include Landlord and Tenant disputes, Small Claim Court and fighting Traffic Tickets. Jayant is a reliable and knowledgeable member of the team who has already demonstrated an excellent track record in his areas of practice.